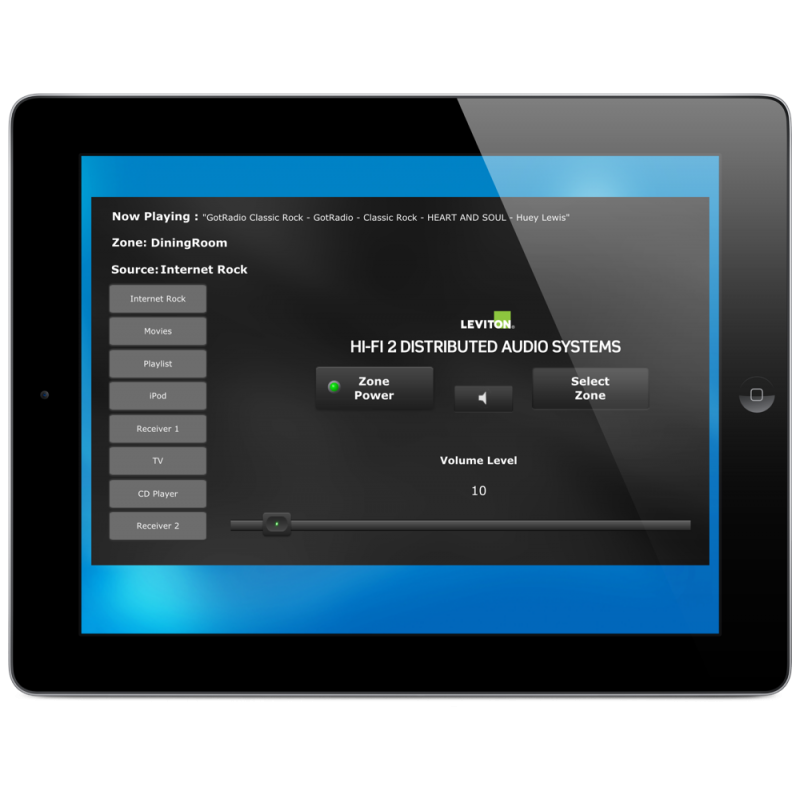 This module allows control and feedback from Leviton's HiFi2 distributed audio system. 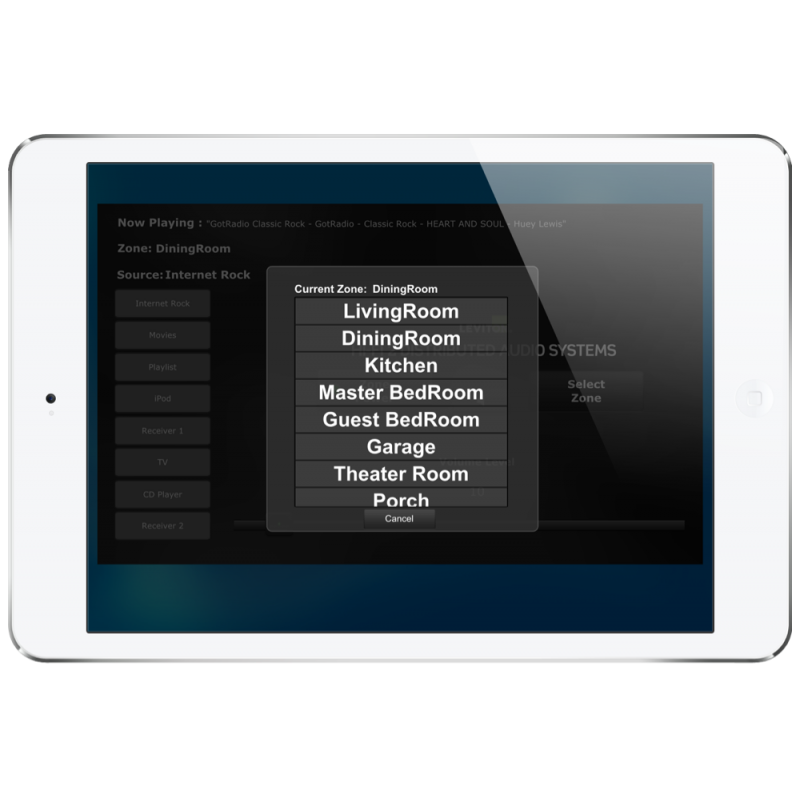 2/22/2016: Updated to include OmniTouch 7 GUI Content and PopUp page. RS-232 - Requires one unused serial port. See Requirements and Limitations for additional information. TCP - Uses a TCP client connection between the controller and the external device. See Requirements and Limitations for additional information. 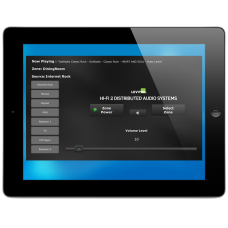 GUI TCP - Uses a TCP client connection between the User Interface and the external device. May not support controller macros. See Requirements and Limitations for additional information. 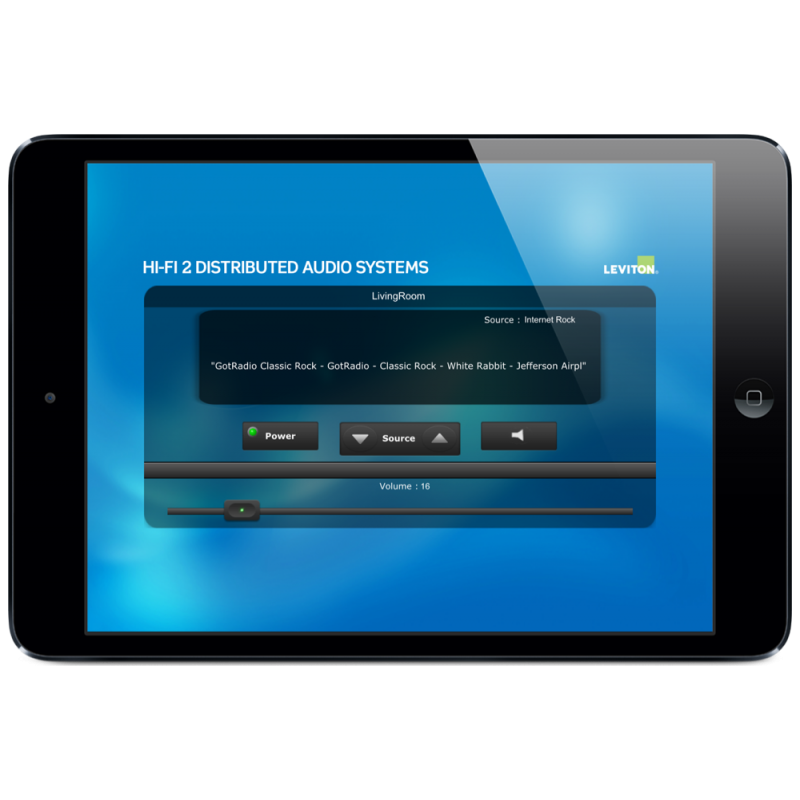 A fully functional HiFi2 installation.